The Secretariat of the International Plant Protection Convention (IPPC), hosted by the Food and Agriculture Organization of the United Nations (FAO), has developed a Phytosanitary Capacity Evaluation (PCE) tool for countries to self-assess their capacity to implement the Convention and the application of International Standards for Phytosanitary Measures (ISPMs). The Secretariat of the IPPC has been supporting countries worldwide to use the PCE tool to appraise their particular situations, identify about five major sanitary and phytosanitary (SPS)-related problems to be addressed, then develop a Strategic Plan for addressing those priority issues. This process involves a stakeholder analysis, a Strengths-Weaknesses-Opportunities-Threats (SWOT) analysis and development of a Logical Framework (“LogFrame”). As part of the training of certified “PCE Facilitators,” the IPPC Secretariat at FAO contracted CIDT to provide access to its existing online course on the Logical Framework Approach (LFA). Completion of this online training was a pre-requisite to the face-to-face (F2F) training provided by IPPC/FAO. Completing the online training before the F2F training ensured that the participants came to the workshop already equipped with the basic knowledge that is foundational to the course. This way, they could jump right into hands-on application of the concepts and delve deeper into practical details, with only limited time spent reviewing or clarifying the basic information covered via the e-learning. It is more impressive than other online courses. The sequence of the material was excellent; and the flow of information from one module to the next made learning easy. It is clear and concise, easy to understand and apply. I liked the examples, case study and illustrations that helped cement the key points. From this training, I am in a position to develop a competitive fundable proposal. This training will help me to design a project using LFA. By learning to do a problem analysis and the crafting of outcomes, outputs and activities, I can assist in developing my department’s strategic plan and work plans. After this training course, I will definitely conduct the stakeholder analysis and consult them for each project. Prior to offering the online training to the PCE Facilitators, CIDT had also conducted a Training of Trainers (TOT) on LFA for IPPC/FAO staff in Rome in early 2016. 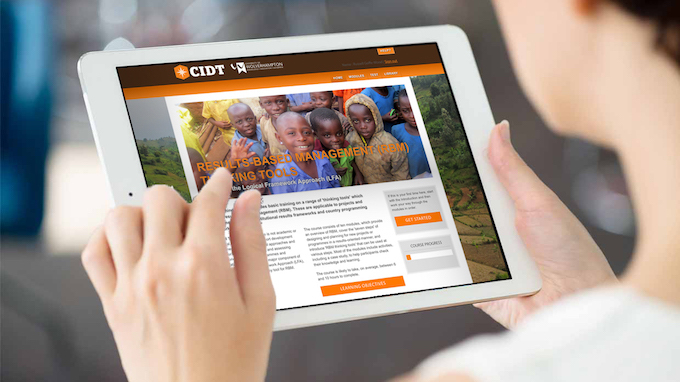 CIDT’s online training programme on Results-Based Management (RBM) Thinking Tools, including the Logical Framework Approach (LFA). 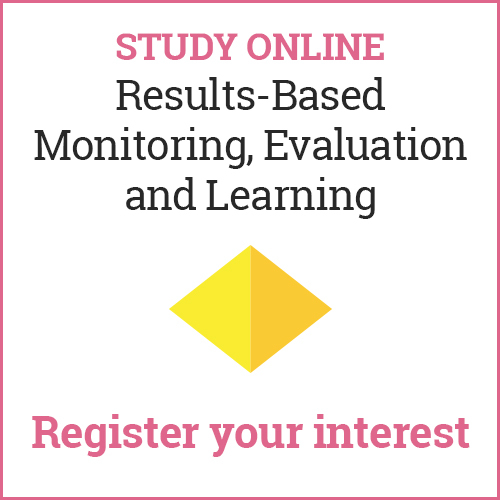 This online course provides basic training on a range of ‘thinking tools’ which facilitate RBM. It is not purely academic or theoretical. Rather, it was designed to support development practitioners with simple practical approaches and advice for designing, managing and assessing results-oriented projects, programmes and organizational performance. A major component of this training is the LFA, because the LogFrame is a key tool for RBM. This e-learning programme consists of ten modules, which provide an overview of RBM and cover the ‘seven steps’ of designing and planning for new projects or programmes in a results-oriented manner. It introduces key tools that can be used at various steps, including Stakeholder Analysis, Problem and Objectives Trees, Risk Analysis, LogFrames, Workplans and Budgets. Most of the modules include interactive exercises and scenario-based quizzes, including a case study, to help participants check their knowledge and learning. It is a self-paced programme that takes, on average 8 to 12 hours to complete. Appreciate the LogFrame as a participatory process, rather than just an end product (i.e., a 4×4 matrix).